Bermuda is not a signatory (or a party by extension from the United Kingdom) to the Rome Convention, the Geneva Convention, the Chicago Convention or the Cape Town Convention. Bermuda is, by Order-in-Council from the United Kingdom, a party to the New York Convention. In relation to the Chicago Convention, however, certain provisions of that Convention with which the United Kingdom is obliged to ensure that its overseas territories (including Bermuda) comply are reflected in the Air Navigation (Overseas Territories) Order, 2013 and Overseas Territories Aviation Requirements, applicable in Bermuda. In relation to the Cape Town Convention, following ratification of the Convention by the United Kingdom in November 2015, the Bermuda International Interests in Mobile Equipment (Cape Town Convention) Act 2016 was enacted in the summer of 2016, with such extension of the Cape Town Convention to Bermuda coming into force on 1 January 2018.
the Bermuda International Interests in Mobile Equipment (Cape Town Convention) Act 2016. Except for public policy considerations, there are no restrictions under Bermuda law on the parties’ freedom to choose the governing law of such arrangements. While there are no particular Bermudian requirements, title is usually transferred by means of a bill of sale. Except for general enforceability considerations, there are no specific formalities. It should be noted that a document executed in, brought in original form to or produced before the courts of Bermuda may be subject to Bermudian stamp duty. The Bermuda Register is a Category I register under the United States Federal Aviation Administration’s Flight Standard Service International Aviation Assessment Programme. That categorisation evidences Bermuda’s compliance with international standards in providing safety oversight of its air carriers that operate in the United States. The Register is maintained by the Bermuda Civil Aviation Authority (BCAA). Registration may be effected by a qualifying owner or charterer by demise of an aircraft (see question 7). While most of the aircraft on the Bermuda Register are corporate or privately owned jets, it is increasingly common to see its use for the registration of commercial aircraft. Arrangements to register aircraft in the public transport category on the Bermuda Register most often require arrangements between the BCAA and the appropriate foreign civil aviation authority. The BCAA is responsible for the registration and issuance of permissions and validations for aircraft and flight crew on the Bermuda Register. The agreement with the foreign civil aviation authority provides for the delegation of regulatory oversight of the air operator in that foreign jurisdiction, setting out the safety regulatory oversight responsibilities of both countries in relation to Bermuda-registered aircraft. Bermuda was the first country to register a safety regulatory oversight agreement with the International Civil Aviation Organisation (ICAO). The ICAO is a specialised agency of the United Nations that sets international standards for the safety, security, efficiency and regularity of air transport and serves as the medium for cooperation in all fields of civil aviation among its 185 contracting states. The BCAA has an 83-bis arrangement in place with Russia, which has been in effect since 1999. International lessors and financiers regularly require Russian-operated aircraft in which they have an interest to be registered in Bermuda. Additional agreements are in place with Austria, Azerbaijan and Uzbekistan. undertakings formed in accordance with the law of an EEA state and that have their registered office, central administration or principal place of business within the EEA. A recent shift in government policy, which used to permit only Bermuda exempted companies to register an aircraft in Bermuda, has seen the extension to those categories of persons set out in the Order, as referenced above, of the ability to do so as well. The BCAA has a discretion to cancel a registration on a charge of ownership, or if any unqualified person otherwise becomes entitled to a legal or beneficial interest by way of ownership of the aircraft or of a share therein, in which latter case the registration will become void and the Certificate of Registration must be returned to the BCAA. With respect to interests in aircraft engines, it is possible to register a mortgage on the Bermuda Register of Aircraft Engine Mortgages pursuant to the Act. Mortgages can be registered against Bermuda-registered aircraft engines that are either owned by, or otherwise in the possession of, a Bermuda incorporated company (see question 17). Persons wishing to register an aircraft must first prove eligibility to hold a legal or beneficial interest by way of ownership or charter by demise in an aircraft registered in Bermuda (or a share therein) as described above. name and contact information of the person who will be responsible for technical presentation of the aircraft to the BCAA during the registration process. Aircraft registered in Bermuda must be operated in accordance with the Order and aircraft operated for valuable consideration on a per flight basis in carriage of passengers or cargo is generally deemed under the Order to be flying for the purpose of public transport. Provided that the preliminary application is approved, the BCAA will issue an approval in principle, which lists the items that must be submitted to the BCAA in support of the formal application. The BCAA will inspect the aircraft prior to its registration and the issuance of a Certificate of Airworthiness, which is renewable annually following further inspection. The BCAA will also issue a Noise Certificate together with any other operational permissions as may be appropriate. Simultaneously with the application to the BCAA, application is made for a Class Six Radio (Aeronautical Mobile Services) Licence. The radio licence is issued once the aircraft has been registered by the BCAA. A copy must be carried on board the aircraft together with all the registration and technical documents referenced above. While registration and the issue of a Certificate of Registration indicates that the BCAA considers the relevant application to be qualified for registration, and may, therefore, be considered prima facie evidence of ownership or the holding of an applicable charter by demise interest in the aircraft, registration is not proof of legal ownership and the Certificate of Registration will state so on its face. See question 7, in the context of charterers by demise. In general terms, the BCAA will not concern itself with the terms of the lease itself. the serial number of the aircraft and the name and address of every person who is entitled as owner to a legal interest in the aircraft or in the case of an aircraft that is subject to a charter by demise, the name and address of the charterer by demise. Where the aircraft is subject to a mortgage registered on the Bermuda Register of Aircraft Mortgages or the Register of Aircraft Engine Mortgages, the aircraft will not be deregistered without the consent of all parties registered as mortgagees. Although not a legal requirement, as a matter of practice, where there is a charter by demise over the aircraft, the BCAA will agree, if requested, not to deregister the aircraft without the consent of the registered owner. The BCAA will, if requested, provide the lessor or owner of the aircraft with a ‘comfort letter’ whereby the BCAA acknowledges the ownership and leasing structure of the aircraft and confirms that it will not remove the aircraft from the Aircraft Register without receiving written authorisation from the lessor or owner. The BCAA will place a notation on the Aircraft Register of the undertaking so provided and of the ownership or leasing structure. Under Bermuda law, a deregistration power of attorney, when granted to secure an obligation owed, typically, to the finance parties, will be irrevocable until that obligation is discharged and will survive the insolvency of the grantor. The power of attorney may be granted to more than one attorney-in-fact on a joint or several basis, or both. Further, under Bermuda law, a power of attorney is required to be executed as a deed. However, a deregistration power of attorney need not be governed by Bermuda law. It will frequently have the same governing law as the other transaction documents, for example, English law or New York law. It is possible to send the deregistration power of attorney to the BCAA and obtain an acknowledgement from them with respect to it. With regard to the deregistration process itself, there is no specific form of deregistration request and deregistration will, therefore, typically consist of the owner of the aircraft making a written application to the BCAA requesting cancellation of the Certificate of Registration. In support of the application, the owner must enclose a resolution of the board of directors of the registrant company authorising the cancellation. The original Certificate of Registration and other documents issued at the time of registration must be returned to the BCAA for cancellation, as the aircraft cannot be deregistered until the BCAA receives the original of such signed certificate. Except for any aircraft that is subject to an undischarged mortgage, the BCAA will deregister the aircraft in accordance with the registrant’s instructions, and will issue a letter of deregistration, which confirms the deletion of the aircraft from the Bermuda Register. The aeronautical regulatory authority of the next intended state of registration will be informed of the deletion by the BCAA. where a Certificate of Airworthiness for Export is required, the relevant party will need to make a request to the BCAA for such certificate and make arrangements for one of the BCAA surveyors or its agents to inspect the aircraft. The Air Navigation (Overseas Territories) Order, 2013, as amended, provides for the Cape Town Convention IDERA regime to be recognised and take effect in Bermuda now that the Cape Town Convention domestic legislation is in force in Bermuda. Creditors can now file IDERAs with the BCAA, with the result that the BCAA will only accept deregistration instructions from the party named in the IDERA as the ‘authorised party’. Previously the registrant of the aircraft could have granted a deregistration power of attorney. However, as a matter of English common law, such power of attorney could have been revoked and since it granted a power only, as opposed to creating an enforceable obligation, it could not have been enforced against the BCAA. However, the IDERA has the force of law and is therefore a much more useful document to the creditor. Although the IDERA refers to export, it should be noted that practically none of the commercial aircraft registered on the Bermuda Register are actually physically present in Bermuda, but are located in those jurisdictions which have article 83-bis treaties with Bermuda. As such, export from such jurisdictions should be addressed with a separate export power of attorney recognised by the relevant foreign jurisdiction. It should also be noted that an IDERA must be in connection with a right or interest created on or after the date on which the legislation became effective in Bermuda (ie, 1 January 2018). It is not appropriate to file IDERAs in respect of international interests created before such date. As long as such prior interests were registered in Bermuda either with the Registrar of Companies or on the Bermuda Register of Aircraft Mortgages, they would continue to enjoy the priority they had thereunder. Security usually takes the form of a mortgage. There is no statutory format with which the mortgage must comply. The mortgage itself need not be governed by Bermuda law. The original mortgage deed need not be provided to the BCAA. leasing or charter by demise arrangements, where the owner gives control and possession of the aircraft to the charterer. The charterer then becomes responsible for all responsibilities and liabilities associated with its operation. There are no specific documentary formalities under Bermuda law. No stamp duty or other documentary costs should be payable. With respect to a mortgage over an aircraft registered on the Bermuda Aircraft Register, it is possible to register such mortgage on the Bermuda Register of Aircraft Mortgages and the Register of Aircraft Engine Mortgages pursuant to the Act. Mortgages can be registered against Bermuda-registered aircraft and aircraft engines that are either owned by, or otherwise in the possession of, a Bermuda incorporated company. Such mortgages give the lender priority over unsecured creditors of the aircraft’s owner, permit the lender to take possession of the aircraft in the event of a default by the borrower and permit the lender to sell the aircraft to realise monies to pay the lender’s debt. There are two specialised registers, one for the registration of aircraft mortgages and the other for the registration of aircraft engine mortgages. The Minister responsible for aviation is empowered to make regulations in respect of the administration of the two registers, as well as in respect of fees and charges in relation to the services provided under the Act, and in respect of making provision for the rights and liabilities of the mortgagors and mortgagees. where the amount secured by the mortgage does exceed BM$20 million, the fee is BM$800. If the aircraft mortgage grants a charge over assets that goes beyond the scope of an aircraft or aircraft engine, and the registrant is a Bermuda incorporated company, the document should be registered with the Registrar of Companies under the Companies Act 1981 to protect the priority over those assets. Charges over shares and other ancillary security documents are also generally filed with the Registrar of Companies to protect priority if the registrant is a Bermuda incorporated company. Similarly, in leasing transactions, leasing documents are filed with the BCAA and are also generally registered with the Registrar of Companies under the Companies Act 1981 if the registrant is a Bermuda incorporated company. Under the Cape Town Convention, an electronic International Registry has been created that is open 24 hours a day, seven days a week. Creditors with an international interest in an aircraft object can register their interest on the International Registry provided that the debtor is located in or the aircraft is registered in a ‘Contracting State’. A Contracting State is a jurisdiction that has ratified the Cape Town Convention. It should be noted that as an overseas territory, Bermuda is not a Contracting State but rather a ‘territorial unit’ of a Contracting State, namely the United Kingdom. if a security agreement, enable the secured obligations to be determined. has its centre of administration in a Contracting State. Where the debtor is a Bermuda company, such international interests can now be registered against the Bermuda company on the International Registry. The BCAA will issue a certificate of registration, which is generally available on, or soon after, the date of registration. The certificate states the date and time of registration, whether it is the first or a subsequently registered mortgage with respect to the relevant aircraft, the principal details of the mortgage and acknowledges receipt of the relevant registration fee. A registered mortgage is given statutory priority over subsequently registered mortgages and unregistered mortgages. The priority of the registered mortgage will not be affected by the bankruptcy of the mortgagor, and the security interest will rank in preference to any right, claim or interest of other creditors. It should be noted, however, that possessory liens for work done on the aircraft (whether before or after the mortgage was created), over persons lawfully entitled to possession of the aircraft or with a right to detain the aircraft, will have priority over a registered mortgage. In addition, a previously registered mortgage or a mortgage created prior to the coming into force of the Act would have priority over a subsequently registered mortgage. Registration of the mortgage cannot take effect until the aircraft is registered, but a lender can apply to file a priority notice with the BCAA in advance of the execution and delivery of an aircraft mortgage or aircraft engine mortgage. This provides notice of the lender’s intention to file a mortgage. If a mortgage is entered into the Aircraft Register or Aircraft Engine Register within 14 days of the priority notice being filed, the mortgage is deemed to have priority from the time the notice was registered. Lodging of a priority notice will prevent any other security interests over the aircraft being registered in advance of registration of the mortgage that is the subject of the priority notice. The priority notice is a simple form, along the same lines as the mortgage registration form, and must be accompanied by the applicable nominal priority registration fee (BM$80). All registered mortgagees must provide their consent to removal of the aircraft in question from the Aircraft Register before such removal can take place, and a registered mortgage will continue to exist despite removal of the aircraft from the Aircraft Register. Although registration of a mortgage does not constitute evidence of its validity, it does constitute express notice of all facts appearing on the Mortgage Register. International interests registered on the International Registry take priority over subsequently registered interests and also have priority over non-registered interests over the same assets. It is possible to vary such priority by registering subordination agreements on the International Registry. In addition to ease of registration, the International Registry also provides greater transparency, as potential creditors can easily search the Register to identify prior security interests already granted. Although most of the security documents in relation to an aircraft financing will constitute an international interest, which can be registered on the International Registry, it is expected that most parties will elect a dual registration procedure and register on both the International Registry and the local Bermuda Register of Aircraft Mortgages. it turns out the security did not actually constitute an international interest or should not have been registered under the Cape Town Convention. Practically speaking, until such time as there is case law supporting the application of the Cape Town Convention, most creditors will adopt the more cautious route of dual registrations. a letter of quiet enjoyment from the registrant to the ultimate operator. The main security documents will usually not be governed by Bermuda law but by, for example, English or New York law, except that a charge over the shares of a Bermuda company (if the registrant is a Bermuda incorporated company) is often governed by local law. The secured party is often a security trustee or collateral agent for the financing parties from time to time. The statutory definition of ‘aircraft engine’ in the Act includes all parts, equipment and data, and manuals and records relating to them. A registered mortgage may cover any store or spare parts for the aircraft, but does not include a mortgage created as a floating charge or a mortgage of spare parts on their own. It is possible to register a mortgage over an aircraft engine on the Bermuda Register of Aircraft Engine Mortgages pursuant to the Act (see question 17). Subject to enforceability considerations under the governing law, the lex situs and any other relevant laws (other than Bermuda law), will typically be recognised by the Bermuda courts and enforce contractual arrangements such as lease termination provisions created under foreign laws. The Bermuda courts would also generally recognise self-help remedies by which the counterparties may take possession of the aircraft, for example, by dealing directly with the BCAA pursuant to a deregistration power of attorney to effect a deregistration. Similarly, the Bermuda courts would typically recognise self-help remedies in the context of an enforcement of security interests over the aircraft (and often over the shares of the aircraft-owning vehicle). Bermuda law will generally also respect the secured parties’ security interests in the event of the insolvency of the relevant company (if the registrant is a Bermuda incorporated company). See question 19. Generally, issues of compensation for detentions, requisitioning, etc, are typically also dealt with contractually in the transaction or insurance documentation. Bermuda currently has no form of income, corporate or capital gains tax and no estate duty, inheritance tax or gift tax. 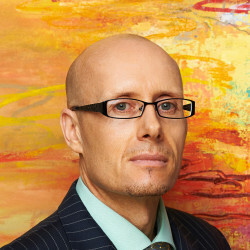 Additionally, if the registrant is a Bermuda incorporated company, Bermuda exempted companies (as well as exempted limited partnerships and exempted trusts) are entitled to obtain a tax assurance exempting such entity from the effects of any changes to the Bermuda tax regime until 31 March 2035 (with such date likely to be pushed back further closer thereto). Bermuda has exchange controls, which apply to residents in respect of the Bermudian dollar pursuant to the Exchange Control Act 1972 and the Exchange Control Regulations 1973. Exempted companies are considered to be non-resident for exchange control purposes, so there are no controls on their freedom to make transfers and carry out transactions in all other currencies. Arrangements that provide for a penal rate of interest may be unenforceable under English common law principles, which are of persuasive, if not binding, authority before the courts of Bermuda. Aircraft registered on the Bermuda Aircraft Register are almost invariably located and operated outside of Bermuda. Were an aircraft to be imported into Bermuda, it would be subject to Bermudian import duty. Bermuda is the largest jurisdiction for captive insurance, with captive insurance companies regulated by the Bermuda Monetary Authority. In relation to aircraft insurance, apart from where the relevant aircraft is ‘ordinarily based’ in Bermuda, Bermuda insurance legislation does not apply and it is typically the case that insurance is placed in the principal aviation insurance centres of London and New York. There are no statutory provisions in relation to such clauses in Bermuda. The position under Bermuda law will reflect English common law principles, which are of persuasive, if not binding, effect before the courts of Bermuda. Subject to the usual enforceability qualifications, such arrangements are effective under Bermuda law and are common in aircraft finance transactions. With respect to an owner, section 76 (4) of the UK Civil Aviation Act, 1982 is extended to Bermuda to the effect that loss or damage caused by an aircraft in flight or by a person in, or an article, animal or person falling from, such an aircraft, is transferred to the person to whom the owner has demised, let or hired out the aircraft if the demise, let or hire is for a period of more than 14 days and no crew member is employed by the owner. In general terms, a lessor or financier would not otherwise be liable solely by operation of Bermuda law. Except as noted in question 32, the owner of the aircraft would be subject to strict liability by virtue of section 40(2) of the UK Civil Aviation Act, 1949, extended to Bermuda. There are no specific Bermuda law requirements. As of 1 January 2018, Bermuda was recognised as a territorial unit of a Contracting State (the UK) for the purpose of the Cape Town Convention, which gives creditors and financiers greater certainty with respect to the legal framework for financing and security of aircraft. Key features of the Cape Town Convention are the ability to create an international interest in an aircraft that will be recognised in all Contracting States, and the electronic international register for the registration of international interests, which will give notice to third parties and enable creditors to preserve their priority against subsequently registered interests and against unregistered interests. With over 800 aircraft on the Bermuda Register of Aircraft, the effectiveness of the Cape Town Convention provides aircraft financiers with greater comfort and provides further compelling reasons that point to Bermuda as a jurisdiction of choice for the registration and financing of aircraft. 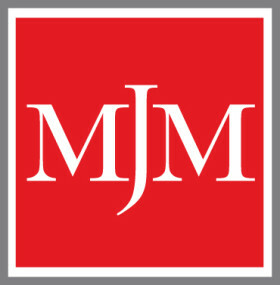 MJM Limited is a leading Bermuda-based law firm with a broad ranging practice and reputation for excellence. Our Attorneys are regularly listed in international guides to legal practitioners in Bermuda, including Chambers Global – The world’s Leading Lawyers, IFLR1000 and The Legal 500.